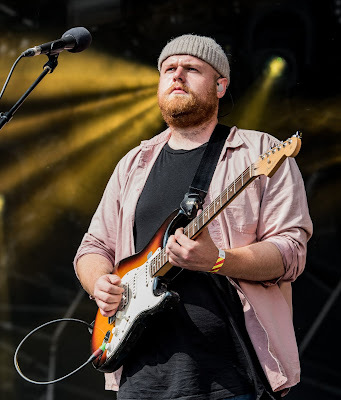 It’s All Indie had a quick chat to Tom Walker before he hit the stage at Truck. Despite the extreme heat that day Tom wore his trademark beanie. That’s real dedication for you! 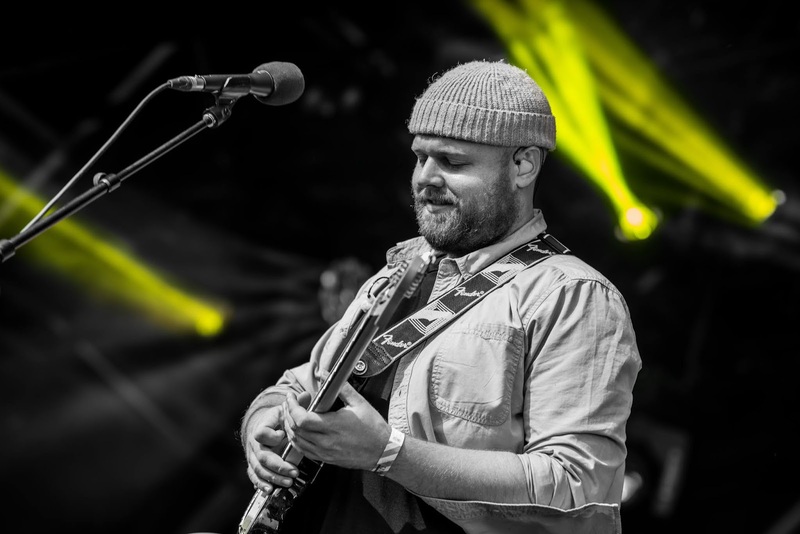 I was about to photograph his set and so was carrying a heap of cameras…! Tom: That’s a lot of cameras! It’s a bit of a giveaway I know! I first saw you at The Great Escape Festival when you headlined Market Stage. Amazing venue! Ah yes I remember, it was quite far out of town wasn’t it? Yes but it was full and you had such an incredible reception. Yes it was wicked that gig cos I wasn’t sure about it. I thought ‘oh God’ it’s so far away from town is anyone going to find it! I went earlier to do a recce to see if I could find it! That was the first time I’ve seen you playing live but it seems to have been an incredible 12-18 months for you. Yeah it’s been crazy, we’ve got so much stuff on this year. I think we’ve had, 2 UK tours, 2 European tours 2 US tours and 35 festivals and in between that I’ve been recording my album. You must have known you’d made it when you appeared on Sunday Brunch? That’s the pinnacle nowadays! That was so funny cos obviously everyone seems to have it on in the background at home so some of my mates were like ‘oh God I saw you on Sunday Brunch’! It was a nightmare though I had to get up at something like half past three in the morning which isn’t natural at all! It’s very anti-social isn’t it? Yeah and I felt like everyone else was so used to it and I was just the musician there, drinking way too much coffee. There aren’t really many music programmes on tv though now and that’s one of the ones you do get some really good musicians so it’s definitely the place to be seen! Have you played Truck before? No, I’ve never played this festival so I’m excited to see what it’s all about. It’s going to be hot up there! When your song ‘Leave A Light On’ was taken on for the Sony Bravia advert how much difference did that make? You reached people that you hadn’t reached before so potentially a massive new audience? Yes he did some songs with Rudimental a few years ago. Yeah he’s wicked and I discovered one of his songs through an XBox advert so it’s cool that people are discovering things through adverts. Yeah and as long as the advert is decent then I don’t think it’s a bad thing. I’m all for it. Are you hanging around after your set today? No, we’re driving to Paris afterwards cos we’ve got a gig there tomorrow so we’re getting straight in the van and driving. And do you enjoy it when it’s just a case of arrive, do all the media stuff, get on the stage, get off and go? Do you still enjoy it? I love the gigs yeah they’re great. Everything surrounding it is sometimes a bit of a challenge. But it doesn’t really matter if the gig was good. If you could be on a bill with anyone else, current or past who would it be? Probably Ray Charles, that would be amazing, he’s one of my all-time favourites. Obviously he’s not around anymore but that would be my choice That would be crazy, he was so good, amazing guy. That music doesn’t age though does it? He had about two and a half minute songs which is how it’s getting now, he kinda invented that 50 years ago! We photographers hate those songs. We’ve only got 3 songs to take photos and they’re all extra short ones! 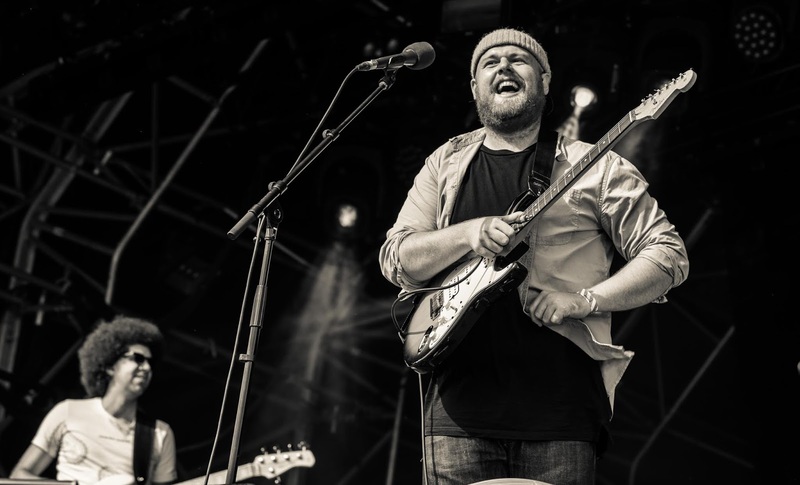 It was a short chat and, as he said, Tom and his band were straight off the stage, gear loaded into the van and heading for Paris within an hour. He still had the beanie on…..